Feel annoyed to be prevented by DRM when try to transfer your Apple Music to Samsung Galaxy S8, iPod shuffle to enjoy? Are seeking a way to keep your Apple Music songs playable after cancelling subscription? Then a powerful Apple Music Converter is needed, it will help you remove DRM from any of your Apple Music files and convert them to DRM-free format for streaming anywhere and anytime. 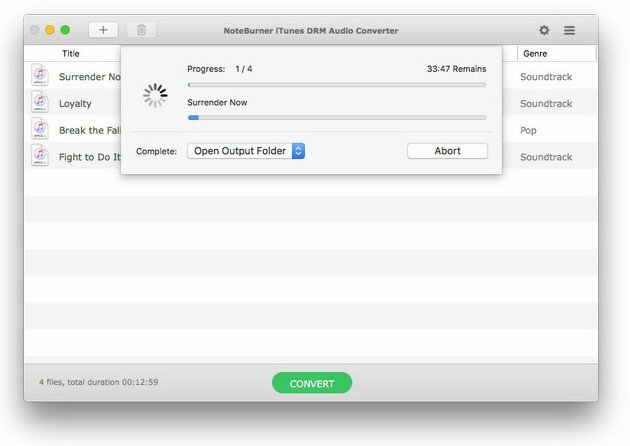 NoteBurner iTunes DRM Audio Converter is the best and most reliable Apple Music Converter in the field, here we review it in full aspects to tell how it works. 1. 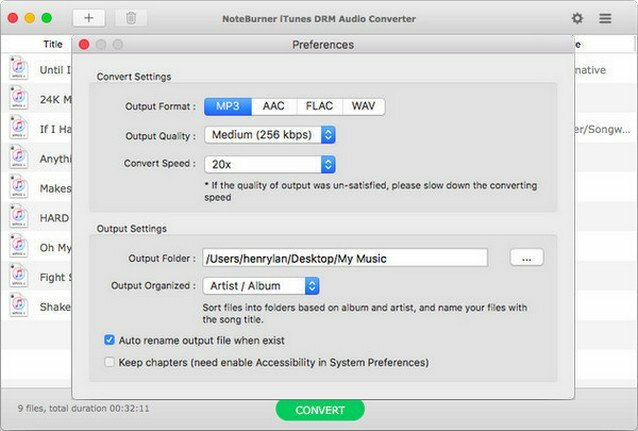 What is NoteBurner iTunes DRM Audio Converter? 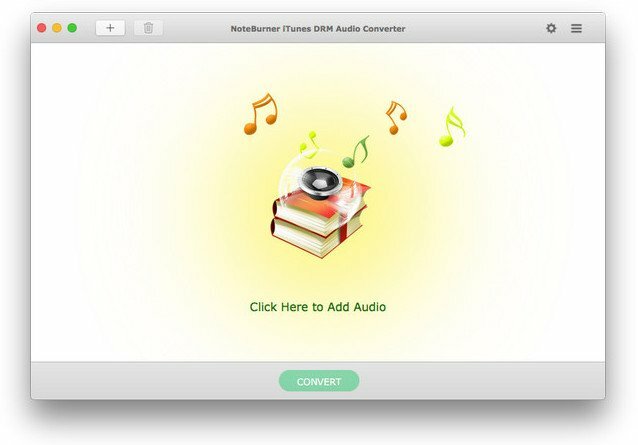 NoteBurner iTunes DRM Audio Converter is the most powerful audio converter to remove DRM and convert Apple Music tracks, iTunes M4P music and audiobooks to other formats, such as MP3, AAC, FLAC or WAV. When it comes to audio converter, speed is the most important factor, and NoteBurner iTunes DRM Audio Converter does not disappoint in those areas. The app is capable of converting any iTunes audio file at 20x faster speeds than its competitors. And just in case you’re wondering about quality loss, do take note that the converted files are lossless and offer the same quality that the originals do. This means song information including artwork, metadata such as artist name, album title, track number and genre is not lost. iTunes DRM Audio Converter supports to remove DRM protection from any audio which can be played in iTunes, such as Apple Music files, audiobooks, iTunes music or other downloaded music. It supports to convert DRM-ed iTunes audio files and Apple Music to MP3, M4A, FLAC, WAV for playing offline on your iPhone 7/7 Plus, iPad Pro, iPod, MP3 player, etc.. This program converts all audio files at unbeatable fast speed and supports batch conversion. And the quality of the output audio can be as excellent as CD Quality. With a concise and simple program interface, it is easy to get started. You can convert Apple Music files, audiobooks and other iTunes audio files within a few clicks. Once purchasing the program, you can enjoy every upgrades and updates for free and contact their support for any problem you have met. NoteBurner team will help you solve problem within 24 hours. 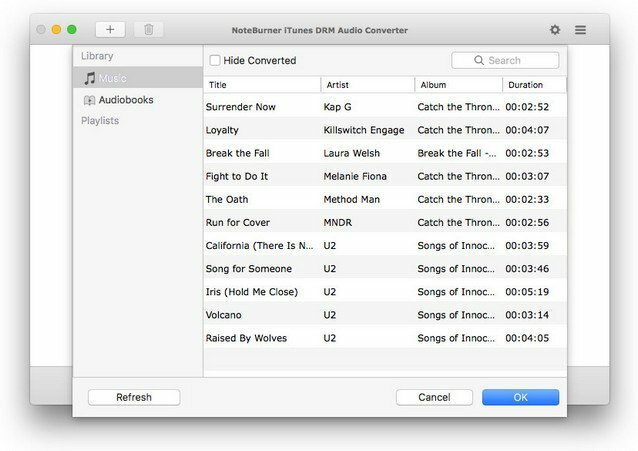 NoteBurner iTunes DRM Audio Converter is available for both Mac and Windows. You can try it for free (The free trial will only convert the first 3 minutes of each song). It is very easy to use, just with the intuitive interface. 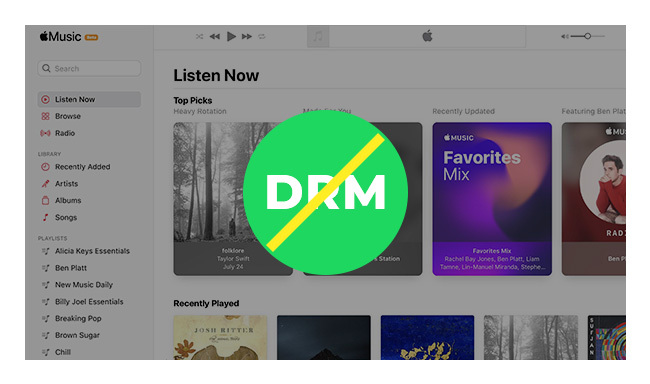 Once you download and install it, you can remove DRM from the files you own via Apple Music and convert to MP3 quickly with a few clicks. Once you launch the software, click button, then you will see a pop-up window which will show you all the iTunes folders. You can add Apple Music files, audiobooks, and M4P audio in the pop-up window as you want. Use the Windows keyboard shortcuts like Ctrl and Shift for easy selection. The overall performance of NoteBurner iTunes DRM Audio Converter was quite awesome. The output files are clean without distortion and you could easily play them on iPad Pro, iPod, Zune, PSP, MP3 player offline and other computing devices. You can get a limited-access free trial to test it out, but will need to pay $39.95 if you want the full version. This purchase will guarantee you free lifetime updates.